Hey there sports fans! Here&apos;s another Tampa Bay Area Events update for Super Bowl XLIII! Now, I know we always bring you the best Tampa Bay Entertainment, but as far as things to do in Tampa Bay, listen up! While Joe Montana and Jerry Rice were leading the San Francisco 49ers to victory over the Cincinnati Bengals in pro football’s big game in 1989, Bud Bowl was making headlines in the very first television commercials featuring a “battle of bottles” between Budweiser and Bud Light. 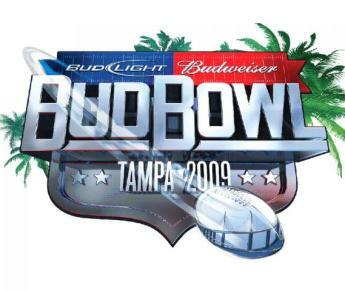 Anheuser-Busch and its local beer distributors of the Tampa Bay area are hosting Bud Bowl 2009, Jan. 30 – 31, in advance of the professional football championship. While a number of gridiron parties will take place in Tampa and elsewhere, the marquee Bud Bowl block party will be one of the hottest tickets in town. Bud Bowl will include the world famous Budweiser Clydesdales, Bud Light MXT and free live concerts at Channelside. Snoop Dogg and 3 Doors Down will entertain Bud Bowl fans on Jan. 30 and 31, respectively. On Jan. 30 and 31, Budweiser and Bud Light will stage two of the area’s must-see “One Night Stand” concerts at Channelside, featuring Snoop Dogg and 3 Doors Down. To attend the concerts, adult consumers 21 and older must have invitations, which can be obtained through Budweiser promotions in area bars, clubs and restaurants and through radio station giveaways. There will be no tickets or invitations available to the block parties on those evenings. Gates will open each evening at 8 p.m. Although football is undoubtedly the focus of the week, fans will have an opportunity to view the Bud Light MXT mobile unit at a number of locations. The Bud Light MXT is armed with satellite TV, DVD and Xbox 360 state-of-the-art capabilities to allow guests to watch their favorite team on a high-definition big screen television, or challenge their friends to a popular video game. Ok, that is just a piece of the puzzle as far as Bud Bowl is concerned, but make sure you log on to www.anheuser-busch.com to get the full scoop! So be sure to get the details and make this part of your Tampa BAy tour for Super Bowl XLIII in Tampa! Until next time, keep checking back for more updates on the best Tampa Bay entertainment throughout Super Bowl XLIII.